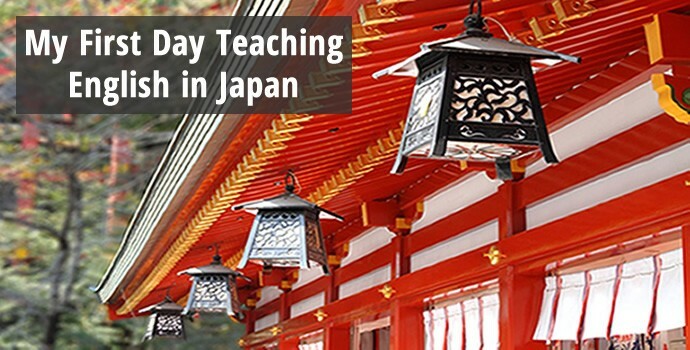 Teaching English in Japan was my first experience working outside the United States. The first morning I arrived in my new city, Takamatsu, I was greeted at the train station by the teacher I was replacing. She walked with me to the building where I would be teaching ESL and introduced me to the staff. Then we took a taxi to my new apartment. After getting settled, we walked from the apartment to the school. She pointed out that it was an easy route, and I was relieved. We simply walked to the train station, turned left, crossed the street, and entered our building. When Monday came around, I was on my own. I was a little nervous, to say the least. However, I was dressed and out the door with plenty of time to get to work. I remembered to walk straight down the road until I reached the train station. However, once I got there, nothing looked familiar. I could not figure out where I worked, so I decided to go to a phone booth and call the number on my business card. As soon as I looked at the phone, however, I realized that I had no idea how to use it. I then thought I would ask someone for help, so I went into an ice cream shop across from the station. I used basic Japanese to ask the employees where my school was. The problem was that, although I could ask the question in Japanese, I could not understand the answer. They could see the “deer in headlights” look on my face and started miming and pointing instead. When I thought I had a good idea where they were directing me, I left the shop. Although they gave me pretty good hand signals, I just could not find the building. Everywhere I looked and everything I saw was simply unrecognizable. After a few minutes, I started to panic. I was going to be late on my first day of work. Students would arrive and there would be no English teacher! I tried asking more people for help. While I still had no idea what they were saying, one woman pointed me back in the direction of the ice cream shop. I figured my only hope was to walk back to the train station and look around again. Maybe something would catch my eye. So, with my heart thumping and my pulse racing, I walked quickly back to the train station, stood on the corner, and looked. And looked. And looked. Nothing! I began to doubt my decision to come to Japan. What was I thinking? I felt defeated and a tear streamed down my face. I was not going to make it to work on time, if at all. No one in the office was quite as impressed by my ability to get work as I was. However, at that moment, I just knew I was going to be ok in Japan. To tell you the truth, my life teaching English in Japan was better than ok. It was amazing. Want to read more exciting success stories from Oxford Seminars about teaching English abroad? Check out our graduate stories, download a course guide, or sign up for a free information session! Michelle has been teaching English for nearly 20 years. 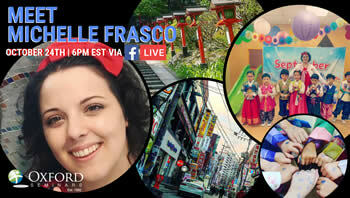 She has lived and taught abroad in Japan, South Korea, Mexico, and Chile. In the United States, she has worked with children, college students, and adults from all over the world. She is a teacher and a teacher-trainer and truly loves the work she does. 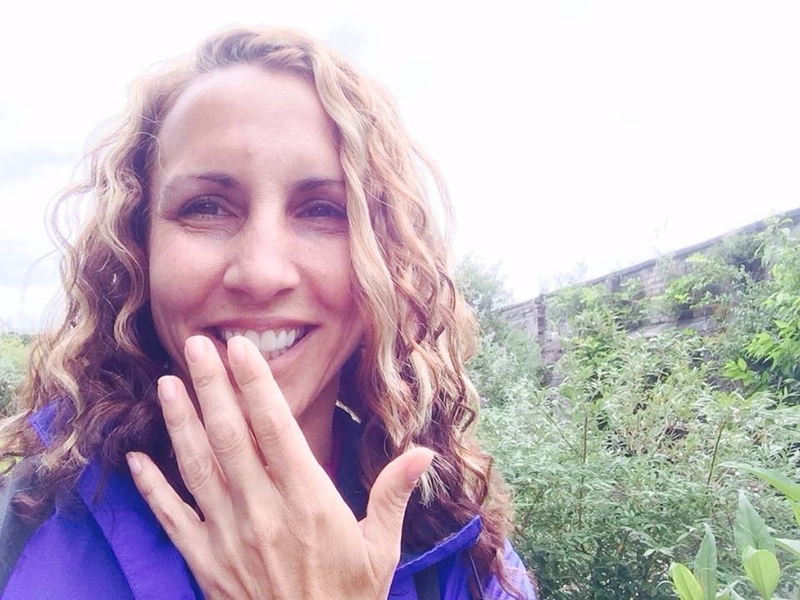 She is currently living in New York State teaching children and working for Oxford Seminars. Video: What Does It Take to Be an ESL Teacher?